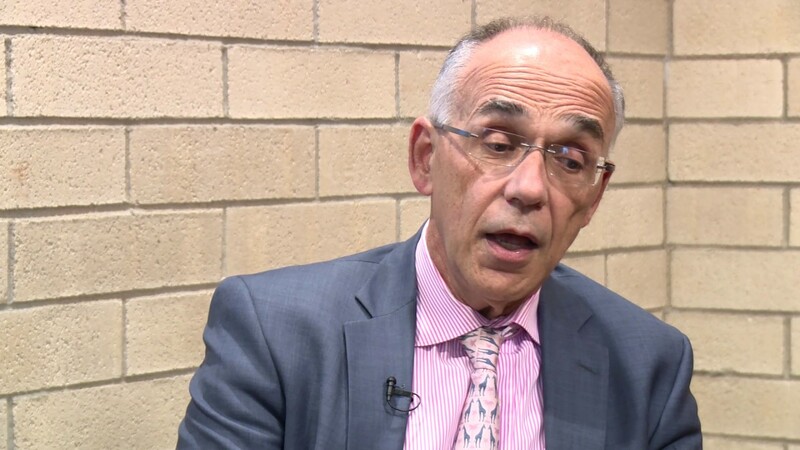 On 11 May 2018, an article penned by ex-CIA official Henri Barkey which included factual mistakes and provided incomplete information was published in Foreign Policy. Firstly, alleging that President Recep Tayyip Erdogan can “cheat if it becomes necessary,” the article called the unstamped ballots in Turkey's April 2017 constitutional referendum ‘illegal’. “There is a pervading sense of unfairness that stems from the fact that the elections will be conducted under emergency rule — an electoral law tailored to favor Erdogan heavily — and in the shadow of the 2017 constitutional referendum, which was decided at the last minute with the inclusion of unstamped illegal ballots,” his article read. 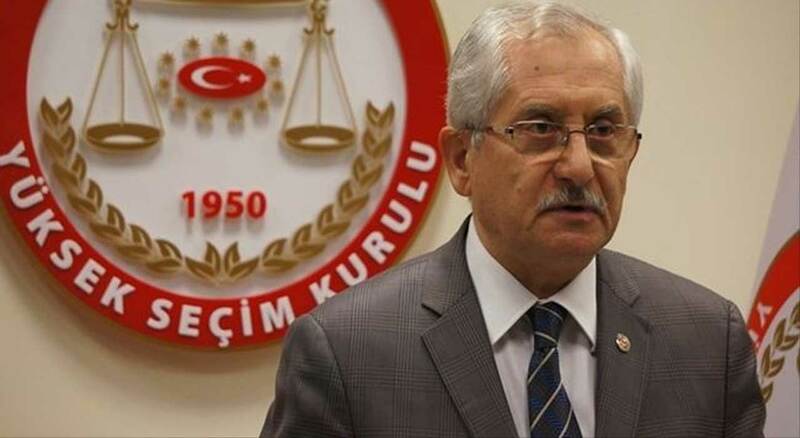 However, as a matter of fact, Turkey's Supreme Electoral Council (YSK) Chair Sadi Guven underscored that accepting unstamped ballots was not a novel practice but happened in the past as well. Moreover, the stamp to be inscribed on ballots is not the only measure to ensure the security of the elections. A valid ballot must also bear the watermark and emblem of the High Electoral Board as well as the stamp of the district electoral council. Ballots which fail to fulfill even one of these conditions or other criteria will not be accepted. Secondly, speaking of former HDP co-chair Selahattin Demirtas who was imprisoned after being charged with terror-related crimes, the article claimed the accusations directed against him were ‘spurious’. “He was detained on Nov. 4, 2016, on spurious charges of aiding and abetting terrorism that could result in a maximum 142-year jail sentence,” it read. 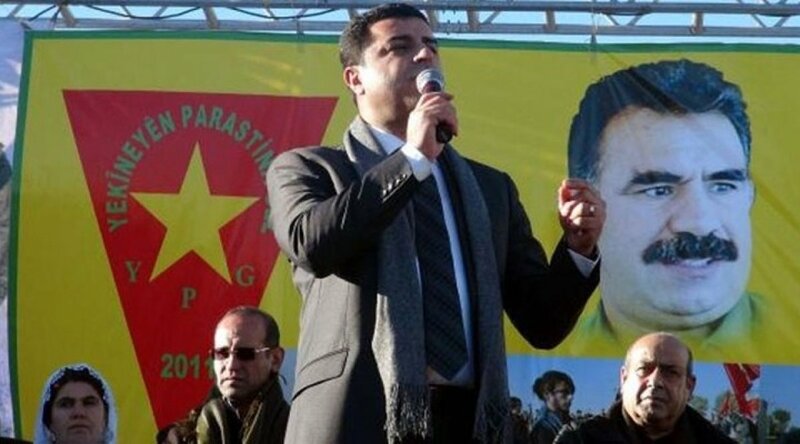 However, Selahattin Demirtas’ explicit support for both the jailed PKK leader Abdullah Ocalan and the PKK* as well as its offshoots such as the YPG/PYD or the KCK was well documented. He was seen in a video clip as attending the funeral of PKK militants. At another occasion he declared that “We’ll erect the statue of our leader Apo [jailed leader of the PKK Abdullah Ocalan],” and that he will “get an internal investigation started about a [HDP] deputy on the grounds of party discipline” if they fail to attend PKK funerals. He praised jailed PKK leader Abdullah Ocalan saying, “Long live Leader Apo! The PKK is a community and a community cannot live without its leader.” There are also pictures in which he stood side by side with PKK commanders during visits paid by HDP teams. Thirdly, the article claimed the charges directed against HDP deputies were ‘trumped-up’. “Erdogan’s government has imprisoned and dismissed numerous HDP deputies on trumped-up charges, making use of any excuse to strip them of their parliamentary immunity,” according to the article. But some HDP deputies’ support for the PKK was concretely evidenced. 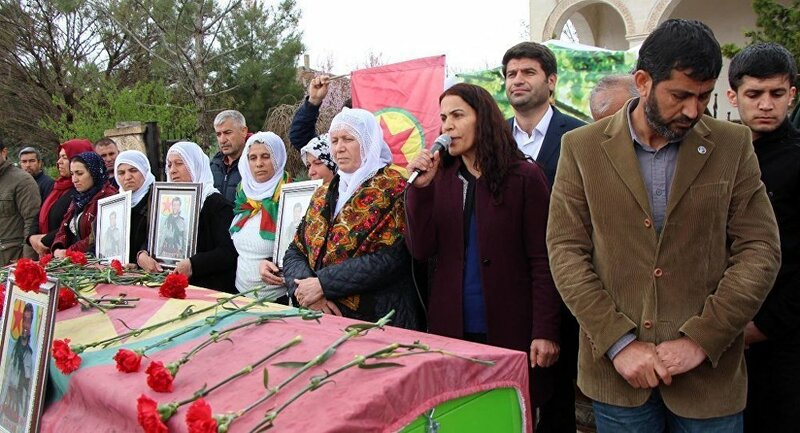 They, including former co-chairs Selahattin Demirtas and Figen Yuksekdag, attended the funerals of PKK militants; publicly expressed support for the PKK; threatened Turkey with the PKK; and even a HDP deputy carried weapons for the PKK. Also, bombs and weapons were found in the buildings or vehicles belonging to municipalities formerly run by the HDP. Furthermore, HDP deputies were not the only MPs who were stripped of their immunity. In 2016, 138 MPs in total were stripped of immunity to face criminal charges. 27 MPs belonged to the ruling AK Party, whereas 51 MPs were from the opposition Republican People's Party (CHP). 53 were from the Peoples’ Democratic Party (HDP) and nine from the Nationalist Movement Party (MHP). As a matter of fact, however, the two-and-a-half-year-long ceasefire between the Turkish government and the PKK, which lasted since April 2013 until July 2015, was brought to an end by the Kurdistan Communities Union (KCK), the PKK’s umbrella group. On 11 July 2015, the KCK announced that the ceasefire is over, warning that they will target dams in southeastern Turkey. Click here for a detailed fact-check about the ending of the ceasefire. In strict contrast to the article’s claim, the new governance system of Turkey has a sound checks and balances mechanism. The cancellation of the president’s right to dissolve the parliament in the current parliamentary system and the introduction of an impeachment mechanism for the president whereas it is technically impossible to impeach the president in the current system are two examples of this checks and balances mechanism. Click here for a detailed fact-check about the frequently voiced claims about Turkey’s constitutional bill that regulated the new system. Also, Interior Minister Suleyman Soylu said that some of the removals of Kurdish signs derived from a ‘misunderstanding’ and that he ordered them to be immediately restored. Click here for a timeline of the democratic developments in Kurds’ rights in the 2000s in Turkey. *The PKK is an armed group seeking to impose its Marxist-Leninist ideology on southeast Turkey and is listed as terrorist by Turkey, the EU, the US and NATO.